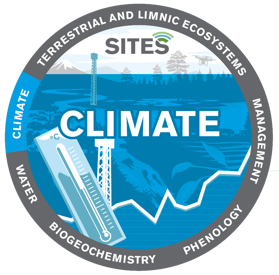 Within the SITES infrastructure, researchers have great access to climate data, with some data series extending back to the start of the 20th century. Weather stations are set up at all SITES stations, thereby covering all landscape types, from mountains and glaciers to forests, lakes, mires and agricultural areas. Read more about what the Abisko, Asa, Erken, Grimsö, Lönnstorp, Röbäcksdalen, Skogaryd, Svartberget and Tarfala stations can offer you as researcher. The weather station at Abisko has been in operation since 1913. Air temperature, precipitation, soil temperature, air pressure, air humidity, wind speed and direction, snow depth, hours of sunlight, solar radiation, long-wave radiation, PAR, UV radiation, groundwater level, and ice thickness on Lake Torneträsk are measured. Today, research activities at Abisko are dominated by environment and climate change, which are studied throug measurements, experiments and modelling. Several unique and long-term experiments are running at the research station. Experiments are aimed at improving understanding of how increased carbon dioxide concentrations, UVB radiation, soil and air temperature, and snow depth affect ecosystems and the processes taking place in them. The Climate Impacts Research Centre (CIRC) is based at Abisko station. The aim of CIRC research is to improve knowledge about how northerly ecosystems function, with particular focus on how climate and environment change affect terrestrial and aquatic ecosystems. The Asa station includes a reference station for climate measurements. Air temperature, soil temperature, air pressure, air humidity, global radiation, PAR, net radiation, precipitation, and wind direction and speed are measured very accurately. Basic climatic data has been recorded since the research station was set up in 1989. At Asa, the ground-level ozone concentration is measured, commissioned by the Swedish Ozone Measurement Network. 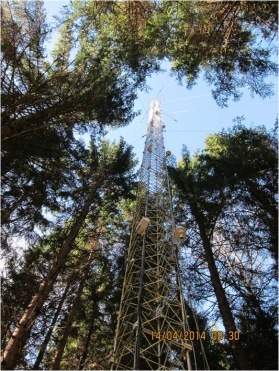 Other measurement programmes and projects include climate measurements, such as flux measurement of CO2 and spectral measurements (NDVI, PRI, see the SITES Spectral project) in a young spruce forest, carried out at Nybygget in the Asa research area. 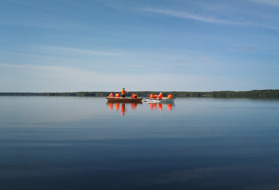 Climate studies are also taking place in the Feresjön research park (see SITES Water). 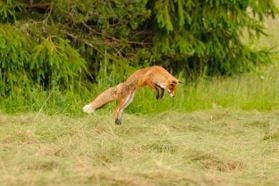 These can also be linked to phenological research and studies. Since the mid-1990s, climate measurements have also been taken in the Aneboda research area. Air temperature, soil temperature, air humidity, global radiation, net radiation, precipitation, and wind direction and speed are measured very accurately at high resolution. Measurements and environmental monitoring are conducted in relation to the UN Convention on Long-range Transboundary Air Pollution. The aim is to provide relevant background data as a reference area, and to try to distinguish effects of changing climate and air pollution from natural variation. The results are used to develop and test models focusing on climate and forestry effects on the forest status. Read more about Erken here. The climate measurements at the Erken laboratory comprise air temperature, air humidity, wind speed, vectors and direction, precipitation, global radiation, PAR, hours of daylight and water level. Since 2014, measurements have included greenhouse gas fluxes. The Erken laboratory has developed an extensive measurement programme for the Erken lake, which has led to participation in several large EU projects examining the effects of climate change and automatic measurements of phytoplankton development in lakes. The infrastructure at Erken enables research into effects of climate on aquatic systems. At the Grimsö research station, there are two weather stations, placed at the northern and southern ends of the 13,000 ha research area. Air temperature, hours of sunlight, air humidity, and wind direction and speed are measured. 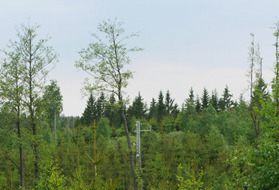 Lönnstorp has a weather station that measures wind, temperature and precipitation. Temperature and moisture sensors are also installed in the soil for measurements within the SAFE programme, and soil samples are taken to measure carbon sedimentation. The SITES Spectral infrastructure at Lönnstorp measures NDVI and PRI over an agricultural landscape. Some of the research at the station focuses on greenhouse gas emissions in agroecosystems. 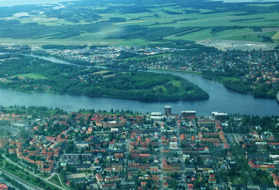 Röbäcksdalen has two weather stations, and submits data to SMHI. Air temperature is measured at heights of 0.2 and 1.5 m, and air humidity, precipitation, wind speed and direction, soil temperature and solar radiation are measured. Within SITES, Röbäcksdalen is setting up a new facility with field experiments for research that will compare various future strategies for resource-efficient agriculture. There are good opportunities for studies of sustainability and effects of climate change in future cultivation systems. At Skogaryd research station environmental measurements is aimed at supporting researchers interested in developing methods for quantifying greenhouse gas balances at landscape level in forest regions. These balances include land-atmosphere, ground-water, and water-atmosphere exchanges of CO2, CH4 and N2O. Flows of greenhouse gases are largely measured in accordance with the ICOS protocol for the Eddy Covariance (EC) method for CO2, H2O, and CH4. For aquatic environments that lack this protocol, optimal measurement methods have been adopted for all types of flow routes. So far, the greenhouse gas flows have been measured using 5-6 EC systems, a large number of flow chambers, and various primary production and respiration measurements that cover a broad spectrum of environments. In addition, an ambitious programme has been set up at Skogaryd to measure hydrology, water chemistry, and soil and sediment properties. This combination of measurements makes it possible to determine the Net Ecosystem Carbon Balance (NECB) over many years. The extensive historical data series and the research opportunities offered by the station’s sophisticated infrastructure, mean that researchers can study the entire landscape’s exchanges of greenhouse gases in hemi-boreal areas. At Svartberget, a range of meteorological variables are measured, such as short- and long-wave radiation, wind, air temperature, air humidity and precipitation. These are measured at five weather stations placed in different environments, including forests in different stages of development, production forests, and mires. Soil temperature and moisture are also measured, and tree temperature and solar radiation under the canopy are recorded continuously over many areas. For the past 25 years, Svartberget has also been measuring the ozone in the stratosphere via two instruments. Svartberget is also responsible for three ICOS stations, two ecosystems and one atmosphere station. 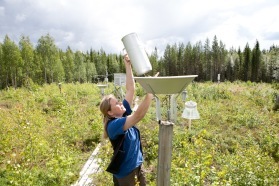 These stations conduct long-term measurements of the concentration of greenhouse gases in the atmosphere, and the flow between the atmosphere and forest ecosystems (boreal forests). The concentrations of carbon monoxide and methane in the atmosphere are measured at several levels, from the ground up to a height of 150 metres. At the ecosystem station on the Degorö stormyr mire, long-term measurements are made of the concentration of greenhouse gases in the atmosphere, and the flow between the atmosphere and mire. Gas concentrations and vertical movements in the air are measured with high time resolution. A range of meteorological variables are also measured, such as short- and long-wave radiation, wind, air temperature, air humidity and precipitation. 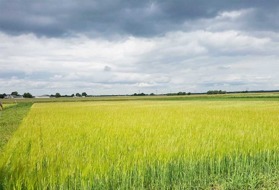 Conditions in the mire, such as soil temperature and moisture, are measured continuously. Many research projects are based here, using data from the meteorological measurements in various ways. 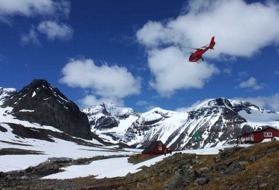 Tarfala research station has three weather stations at high elevations, and close to interesting glaciers in the Swedish mountains: Riukojietna, Pårteglaciären and Salajekna. 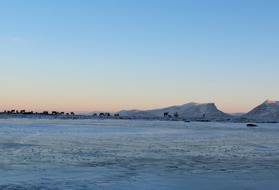 The observations at Pårtetjåkko are of interest because the first observations were made by Axel Hamberg as long ago as the start of the 20th century. A pt100 temperature sensor has been installed in the original shield used by Hamberg, to facilitate comparisions with his early measurements. Tarfala is responsible to measure the weather at eight strategic sites in the mountain area. One is located close to the field station in the Tarfaladalen valley, three are placed on glaciers, and four in reindeer husbandry areas.